I hope thier efforts are successful. 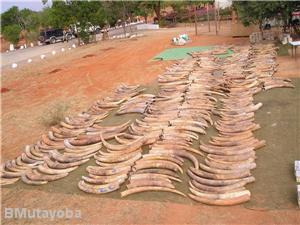 Burning ALL the ivory is the ONLY way to stop the trade. It sends a definite message. Shooting poachers on sight is also another good deterrent. Richard Leakey made huge inroads into the preservation of elephants by implementing these methods. When he was succeeding greedy people tried to kill him. By using drastic action he was very effective. Let's hope they come up with a definite solution now and not a bandaid measure with big loopholes to allow the slaughter to continue. Thank you Cher.